These days a laptop are a necessity, but they also aren’t a cheap investment. You want to pick a mobile computer that not only lasts, but that has a wide range of features to keep you happy for years to come. 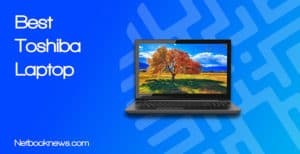 Lenovo was recently named the #1 overall mobile computer brand by Laptop Mag due to the company’s value, selection, and keyboard designs. 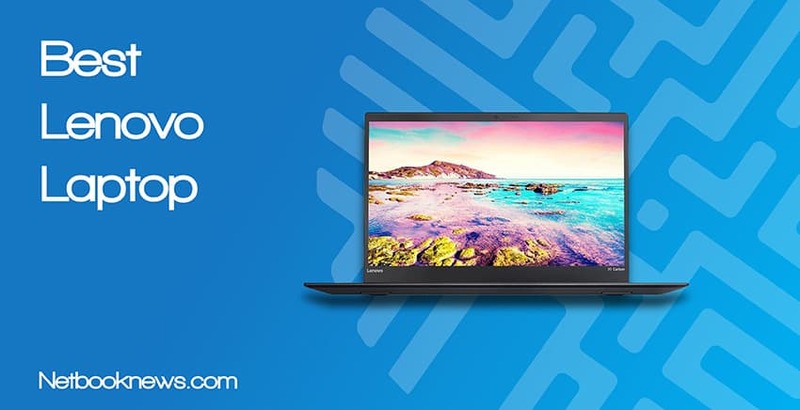 With Lenovo, you have several different options depending on whether you want a business machine, thin 2-in-1, or a gaming laptop. No matter what you choose, the main draw to picking Lenovo is in the keyboard comfort and build quality, with users reporting an average of 5 years of life from the ThinkPad line. Not sure specifically what you need? We can show you the top 5 best Lenovo laptops this year for any kind of user and ensure you pick exactly the right machine! By Ty Athur: With our this update, we’ve expanded the selection to five top quality products, as well as brought you a brand new design to get you the most important info you need faster! From budget to high end, we’ve found meticulously researched the full Lenovo lineup. 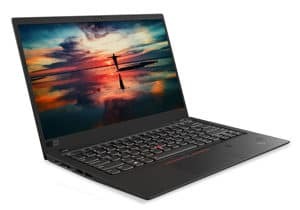 This year, the best overall Lenovo laptop is easily the ThinkPad X1 Carbon, which offers an excellent combination of cutting edge performance, high screen resolution, and lightweight portability. The X1 Carbon is a standard clamshell laptop without a touch screen, however. If you prefer a hybrid device with a rotating hinge and require touch functionality, the Lenovo Flex 15 will be your best overall option. For college students who need versatility, reliability, and all day battery life, the Flex 15 is easily your best option. 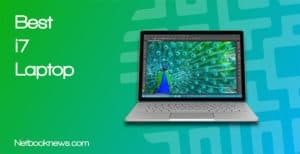 If you need a laptop that can handle any type of application and run for a full day of classes without plugging in, this should be your top pick. All other features aside, your main draw top the Lenovo Flex is easily the high battery life. You don’t want to be searching for a plug during a lecture or worrying about dying while writing a paper the night before its due. For standard web browsing and word processing with the screen dimmed, you can expect up to 10 hours of life on a single charge. That means you can effectively use the Flex 15 for a full day of classes and never have to be on the lookout for a wall outlet. The last thing you want to worry about during finals week is a slow laptop that can’t keep up with your workload. That will never be a problem here, as you’ll get instant boot ups with the solid state drive and high performance from the 8th gen Intel Core i7 processor. We know that students like to play games in their downtime to unwind after studying, and you’re covered there as well. The Flex has a dedicated graphics card, so you can expect stable frame rates for rounds of Overwatch or Fortnite. This model is very reasonably priced for all the performance and power you get here, so you’ll still have money left over for all those expensive college textbooks! With a hybrid touch screen design, you are covered no matter how you plan on using your college laptop. While that’s one of the most noticeable features, there are other extras to keep in mind here. You also get a built-in fingerprint reader. Why is that important? You don’t have to worry about other people in your dorm gaining access to your computer without your permission. Students who reviewed the Flex 15 frequently mentioned loving the build quality of the hybrid design, and appreciated the extremely fast speed of the Intel i7 CPU. The compact keyboard doesn’t feature a 10 key segment however, and some users prefer keys to be spaced out wider. Don’t care about a hybrid design or need a touch screen at all? If you prefer a standard clamshell laptop with a bigger keyboard for your college classes, the ThinkPad E580 offers similar specs for less money. Need to be productive all day long and ensure hand comfort while typing up customer data? 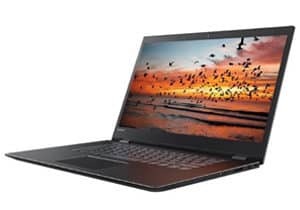 If you don’t care about a touch screen and just need a solid business class machine with great performance and a durable design, the E570 should be your top pick. You can’t afford to put your business on hold because your laptop quit working after a bump or a stray cup of spilled coffee. The ThinkPad Edge 570 has the durability to keep going as long as you need it to, with an ergonomic and spill-resistant keyboard. Not only is the full size keyboard comfortable to use, but it features all the keys you’d find in a standard desktop unit so you won’t have to learn a bunch of macros. If you need to browse through large numbers of work documents, the center TrackPoint button makes it very easy to scroll quickly without ever moving your fingers off the keyboard. While the standard home user probably won’t need a disc drive anymore, some business still use installation discs or need to burn data to a physical backup DVD. That can be a problem when computer shopping. Most laptops these days jettison the optical drive in order to save space and cull down on weight. Lenovo gives you the best of both worlds with this model with a combined design. The Edge E570 is still only a mere 5 pounds even with the a DVD-RW drive installed. The E570 offers an excellent midway point between speed and storage with a 500GBS solid state drive. That’s a huge bonus for business users, since you may need to keep a large number of documents on your laptop rather than in the cloud. By ditching the dedicated graphics card but upping the amount of internal RAM, you get high end performance for any business applications and at a reasonable price as well. Business users who reviewed the Edge E570 constantly mention how quiet the SSD runs, and love the ThinkPad keyboard design with the TrackPoint button. This model doesn’t include a touch screen, as that isn’t typically as necessary for business or office operations. If you need a touch display and like the 2-in-1 design, the business class version of the Lenovo Yoga 720 will be your best bet. For the gamers who demand graphical perfection and stable frame rates at ultra settings, look no further than the Legion Y7000. With the high quality display and powerful graphics card, you’ll get amazing visuals no matter what kind of games you play. Gaming computers are all about the visuals. What’s the point in getting a gaming laptop if you don’t have the best visual quality while playing your Steam library? While this model features a standard 15 inch display, the Legion Y7000 utilizes an ultra-thin bezel design. What makes that so special? Thin bezels means you get more viewing area than with a normal laptop of the same size. You effectively bump up to a larger screen without gaining any extra weight or losing portability. The Y7000 overall is fairly thin for a gaming laptop, at just over 1 inch thick and weighing 5.2 pounds. Unless you are exclusively using external peripherals, a gaming laptop needs to have the best quality keyboard available. The Y7000 has those features covered, with raised keys featuring 1.7mm key travel. That combo means your keystrokes will be precise and you won’t accidentally hit the wrong key while taking on a difficult boss. There is one potential downside to note here, however. The Y7000 only features white backlighting. If you want multi-zone full RGB lighting on your keyboard, we’d recommend going with the Legion Y720 instead. The whole reason to spend this amount of money on a gaming laptop is to get better performance than with a home or office machine. The Y7000 is pricier than many of our other contenders, but you get significantly better specs in exchange for that higher price point. There’s no trade off between storage space or speed, as you get both an SSD and a large HDD for extra capacity. In terms of graphics and speed, the combo of GTX 1060 video card and Core i7 CPU will keep you playing AAA titles at ultra settings without any problems. Gaming laptops always have lower battery life than other models, but the Y7000 boasts a surprisingly long life for this level of hardware at 4+ hours. Just keep in mind that the performance will be throttled while you aren’t plugged into an outlet! Gamers who reviewed the Y7000 nearly always mention loving the bright screen, large viewing area, and lighting fast gaming performance. One feature frequently cited by reviewers that’s worth mentioning is how the power port is located on the back rather than the side. Some gamers love that positioning and others hate it, depending on where their wall outlet is located. Want to future proof your gaming laptop against newer games so you always get the best performance? You can get the GTX 1070 graphics card instead with the Lenovo Legion Y920, although it will cost you an extra $1,000! Looking for high end performance on a budget? If you can’t go much over the $500 threshold and don’t need a touch screen, this Premium model should absolutely be the top pick for any kind of user. This is easily one of the best affordable laptops around from any brand. 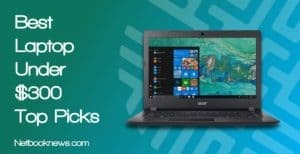 When looking for an affordable laptop on a budget, normally you have to deal with losing out on all the extra features of more expensive models. That isn’t the case with this particular model, which boasts a surprising number of extra features that you don’t normally find at this price point. Despite the low price, you still get a security fingerprint scanner and a fully backlit keyboard, which are two features you don’t want to live without these days. This machine also includes a plastic privacy shutter for the webcam, so you don’t need to get a sticker or piece of tape to put over the camera. While weighing under 4 pounds, you still also get a DVD-RW optical drive. If you still use old install discs, that’s a feature you don’t want to give up with a more expensive computer. Although you get plenty of extra bells and whistles, this model doesn’t skimp on the important basic specs, either. While it can’t match the speed or power of the gaming and business units listed above, you still get decent overall performance here with an i5 CPU and 8GB of RAM. That means you can expect to keep plenty of tabs open at the same time without any speed reduction. The solid state drive also offers extremely fast boot up and data retrieval. Easily the biggest selling point here is the asking price that’s been steadily going down over the last year. Currently, this model is available for just over $500 at Amazon, but if you shop smart, you can get it on sale for below that threshold. The bottom line here is that you won’t find this combination of performance, portability, and extra features for a lower price anywhere else. 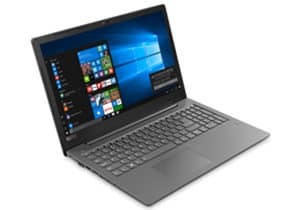 Buyers who left a review frequently mention that that the Lenovo Premium 16.” remains cool even after several hours of usage, so it will sit comfortably on your lap without having to buy an extra pad. When you can’t go as high as $519, then your next best bet will be the Lenovo IdeaPad 320 instead. While you lose out on the quick boot up speed of a solid state drive and don’t get a fingerprint scanner, you can find that model for around $100 cheaper. Looking for the best overall combination of form and function and don’t mind paying a premium for extra features? If you want a lightweight powerhouse of a laptop, the Thinkpad X1 Carbon should be your top pick. The X1 Carbon is a bit like the Cadillac of Lenovo laptops. While of course you get high end performance and lots of storage space (at a premium price), the real draw is the design. While you get a spacious 14” display with plenty of view area, this ultrabook only weighs two and a half pounds! Even though the X1 is thin, it still manages to sport a complement of ports for connecting peripherals. Whether you want to plug in an SD card or use a Thunderbolt USB device, you’re still covered. For this amount of money, you should expect more than just high performance and fast speeds. The main feature to consider with the Carbon is the top-notch display. With a 2560 x 1440 WQHD screen, this model has nearly twice the resolution of every other contender in our list. Although this isn’t a gaming machine, videophiles in particular will be very happy with the quality. When you want crisp and crystal clear visuals for video playback, this should be the Lenovo unit to pick up. Besides portability, a fast processor, and a high quality screen, there are a few extra features to keep in mind here. 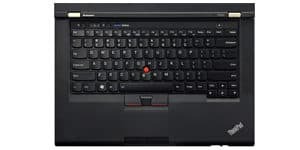 As with the other ThinkPad models, the Carbon also includes the iconic three button touchpad design, along with the extra red TrackPoint button on the keyboard. Buyers who picked up the X1 Carbon most frequently cite the excellent battery life and facial recognition camera as their favorite features. If you don’t mind a heavier model with a gaming design, you can get similar specs by picking the Y7000 listed above. That machine obviously isn’t meant for carrying around at the office, however, like with the Carbon. You want a comfortable experience when typing all day long. The keyboard and touchpad are what you will interact with most when using a laptop, so make sure they meet your needs. You don’t want to end up with a powerful computer that you hate using! Always check what size keyboard is featured, and make sure it has the specific buttons you need in a comfortable placement. You want a laptop for portability, so you should pick a model that’s as light as possible. Are you carrying your computer to class, taking it to and from work, or playing games at the coffee shop? We recommended finding a lightweight and thin model, as these are two of the most important features to consider when picking a new laptop. You’ll spend hundreds or even thousands of hours looking at your laptop screen, so it had better offer a great visual experience! Don’t overlook the display quality a a major purchasing decision. Whether you are gaming or just typing up work documents all day, you want a bright screen and high resolution to reduce eye strain. We recommend IPS panels with anti-glare features for the best viewing. You should expect quick speeds and no lag when using multiple tabs or running different programs. For most users, we recommend Intel i5 or i7 CPUs and 8 – 16GB of RAM to ensure you don’t have a slow, laggy machine. Gamers will also want to make sure they find a decent dedicated graphics card to run games at high frame rates. Accidents happen and tech wears down over time, so make sure you pick a model with features that will last longer. It’s all too easy for a simple drop or spilled cup to render your laptop unusable if you buy a cheaply made machine! We recommend you pick a durable model with a spill-resistant keyboards and aluminum chassis. 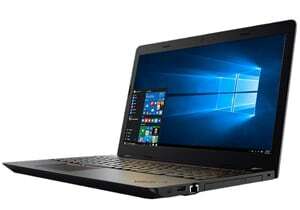 Q: What should I look for in a Lenovo laptop versus any other brand? 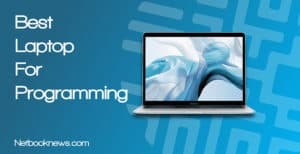 A: While having a high end CPU and plenty of RAM are crucial to running newer programs without lag, these aren’t your most important considerations when picking a laptop. Don’t overlook considerations like keyboard comfort, screen quality, and storage capacity! Depending on the size of your hands and the type of keyboard you prefer using, be on the lookout for full size versus compact, travel-size keyboards. Some models, particularly in the ThinkPad line, feature three buttons above the touchpad rather than below it, which is a different configuration than you’ll find with most other brands. Within those product lines, you can then break down your options based on your budget and usage. 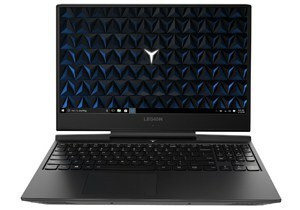 Q: What specs do I really need to look at with a Lenovo laptop? A: Besides keyboard size and touchpad design, a critical feature that’s often overlooked by buyers is battery life. Unless you will be near an outlet with your laptop at all times, the higher the battery life, the better. There’s no point in going with a portable computer if it can’t last the entire day before the battery dies. In particular, the Lenovo Flex 15 and X1 Carbon are known for offering all day life on a single charge. If you absolutely must go 8+ hours without charging, those are the models to look at first. On the bottom end of the spectrum is the Legion Y7000, as gaming models will always drain the battery significantly faster than office machines. Aside from battery life, don’t forget about extras like keyboard backlighting or key placement! These seemingly minor features can make or break your laptop experience. Most laptops will have similar speeds, so ensuring you have a well lit keyboard with all the keys you need is often more important than RAM or processor types. 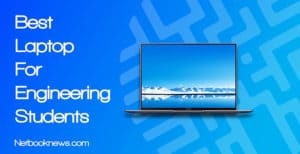 Q: What other features should I look out for when buying Lenovo? Unless you are picking a gaming laptop, in general you want to stay at 5 pounds or under for the best in portability. Anything less than an inch thick will also be a bonus. If you plan on carrying your computer around everywhere, going with an ultraportable model of 2.5 pounds with a 14 inch or smaller screen is the way to go. After weight, take a look at what types of ports the laptop has. Do you need 3 or more USB ports for connecting peripherals, or will you be using an HDMI cable for an external display? Some Lenovo models also still include an optical drive. If you want to install CD software or burn DVDs rather than use cloud-storage, this is an important feature to look for. Q: Still can’t find what you are looking for?